Too often I think people put aside their own happiness - for their job, for their spouse, for their children. I also believe it's easy to get so caught up in life's trivialities that we forget about ourselves. Regardless if you fall into one or both of those categories, stop! Taking care of yourself, mind, body and soul, is so important. Stop letting others dictate your happiness. 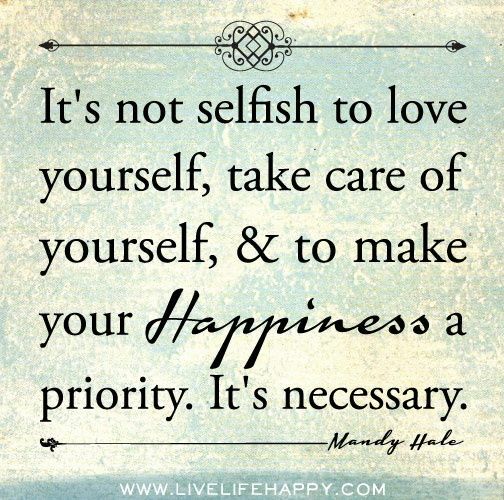 Make yourself a priority, not an afterthought.